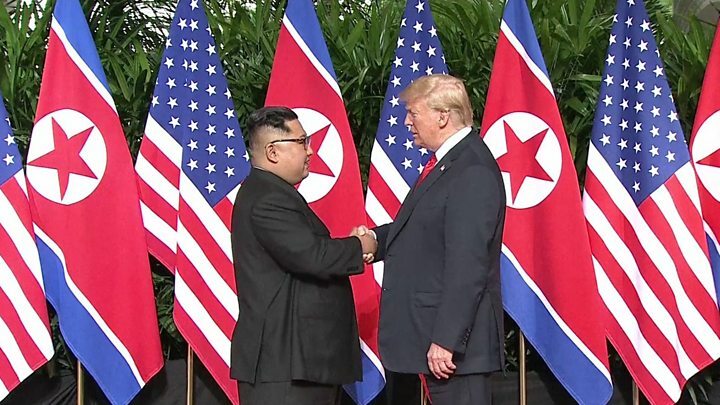 June 12, 2018 was a historic day as the leader of the world's biggest capitalist economy met with the leader of a very small yet nuke-armed communist economy, for the first time. Thank you President Trump, Chairman Kim. You are no angels (none of us here) but it is better to have more capitalism and commerce, less communism and missiles, in Asia and the world. Great initiative (photo below from BBC). 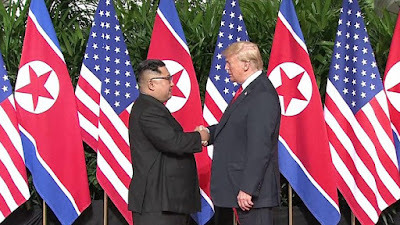 "President Donald J. Trump of the United States of America and Chairman Kim Jong Un of the State Affairs Commission of the Democratic People's Republic of Korea have committed to cooperate for the development of new US-DPRK relations and for the promotion of peace, prosperity, and the security of the Korean Peninsula and of the world." "The US president said he had invited Mr Kim to visit the White House at “the appropriate time” and that the North Korean leader had accepted his invitation." 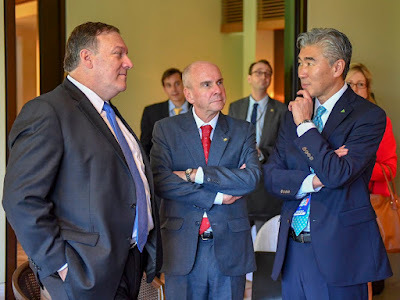 Poor North Korea but with a medium size population of 25 M people (S.Korea has about 51 M), it is safe to project that after denuclearization, soon Samsung and Apple, Ford and Toyota, BMW and Hyundai, HSBC and Citibank, Marriott and Shangri-la, San miguel and Jolibee, other big globa and regionall brands will soon be setting offices and factories, hotels and banks, in Pyongyang and beyond. Singapore as host is a good model for NK -- small in both land area and population, previously very poor, no nukes, yet very prosperous and rich. Trump as long-time businessman and recent politician with little political baggage that many politicians have may have inspired KJU to have more businesses, more trade and investments and less missiles and bombs in his country. The 8 years of "hope and change" leader has no track record of real business. The Clinton couple has politics as business, no real business selling useful goods and services. 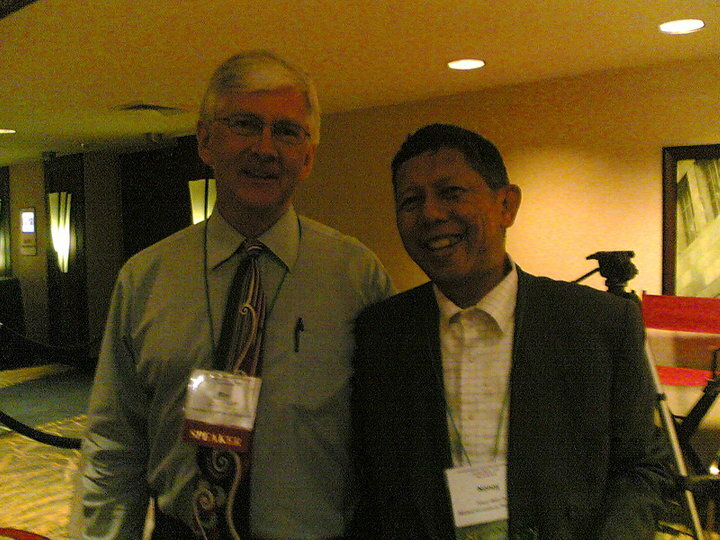 I have a S. Korean free marketer friend, Dr. Chung-ho Kim, then Pres. of the Center for Free Enterprise (CFE) in Seoul. We were in an Atlas event in Washington DC in Nov. 2009, 20th anniv of the fall of the Berlin Wall (thanks to the invite and travel grant secured by Jo Kwong, then Atlas VP). Chung-ho was one of the freedom speakers. In front of about 300 people he made a toast, "Unlike in Berlin where they have a wall, in Korea we have a fence separating the N and S. Korea. As Pres. of the Center for Free Enterprise in Seoul, I call on Chairman Kim (il Song) -- tear down this fence." Big applause from the crowd. "I want to bring our soldiers back home. We have, right now, 32,000 soldiers in South Korea, and I’d like to be able to bring them back home. But that’s not part of the equation right now. At some point, I hope it will be, but not right now. We will be stopping the war games, which will save us a tremendous amount of money, unless and until we see the future negotiation is not going along like it should. But we’ll be saving a tremendous amount of money. Plus, I think it’s very provocative." 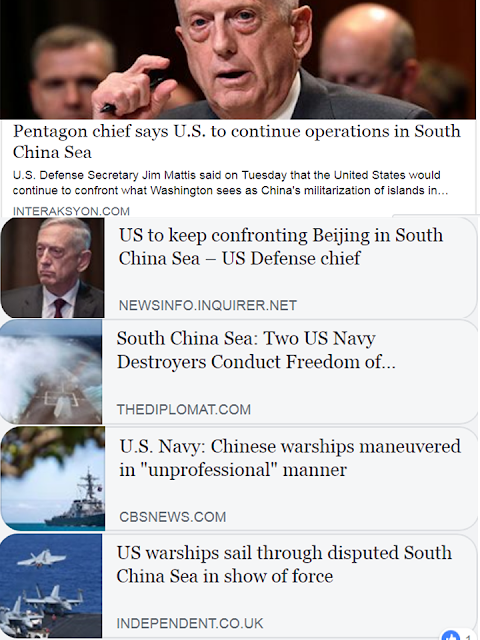 So he wants to pull out his Troops out of S. Korea, mainly to (1) save money, cut US spending, and (2) in line with zero nuke for NKor, zero US troops in SKor. Good plan then. I think Trump plans to have another round of tax cut so he needs more spending cut. CN influence over NKor will significantly decline. Soon N. Koreans will fall in love with McDonald's and Starbucks, google and youtube, Apple and Samsung, Toyota and Hyundai, Toshiba and LG. * This is my column in BusinessWorld last Monday, June 11. From 2006 to 2013, the Mindanao grid had only 1,900 to 2,000 MW of installed power capacity, mostly sourced from hydropower facilities that provide higher output during the rainy season but declines during the summer. As a result, power shortages lasting several hours a day are experienced during dry spells. In 2014, the supply situation improved. Total installed power capacity increased to 2,211, rising once more to 2,414 MW in 2015. Starting 2016, the situation improved further with capacity reaching 3,162 MW and later rising to 3,559 MW in 2017, with the help mostly of coal power plants. The last two years showed significant power surpluses that competing power plants were bidding as low as P2.50/kWh in generation cost. 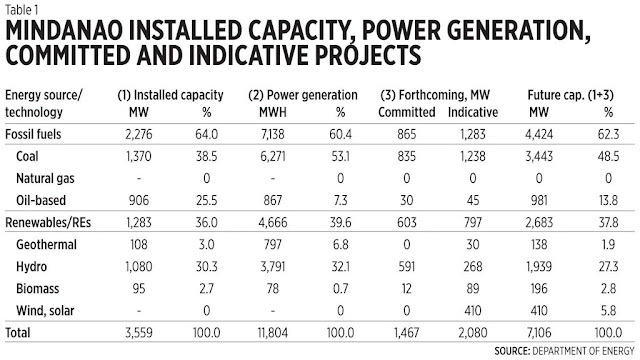 As of end-2017, coal power constituted 39% of installed capacity but actual electricity production was 53% of total because of coal’s reliability and higher capacity factor. 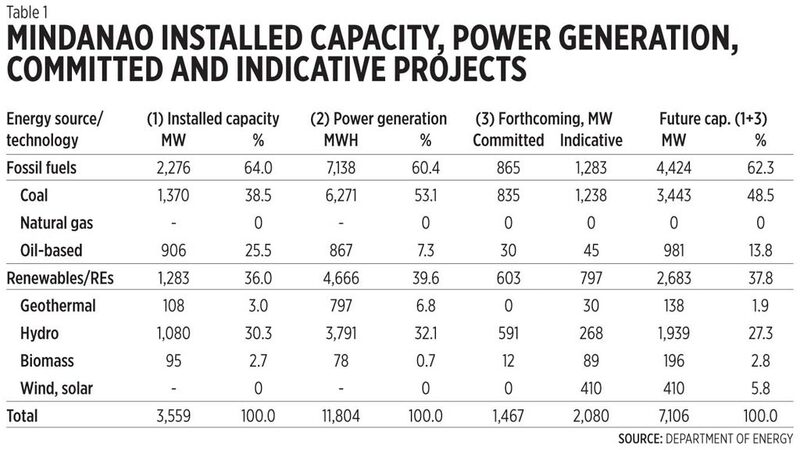 Oil-based plants constituted 26% of installed capacity but actual electricity output was only 7% because they were peaking plants and were seldom used. The committed projects (financing, construction stage) and indicative projects (planning and proposal stage) are shown below. 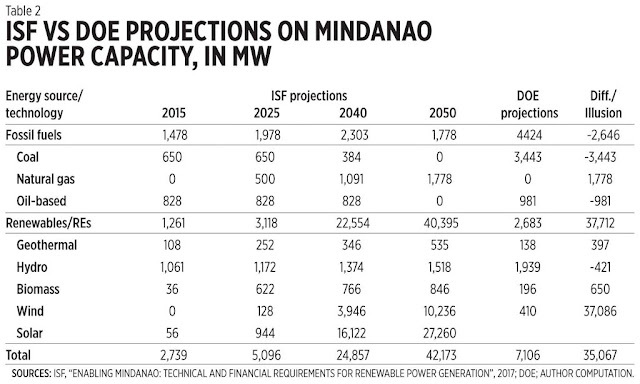 The Department of Energy (DoE) projects that from 2016 to 2040, the Mindanao grid will need additional capacity of 10,200 MW (6,300 baseload, 3,200 mid-merit, 700 peaking). Early this month, a paper was presented at the UP School of Economics (UPSE), entitled “Cost-Effectiveness of Maximum Renewable Energy Penetration in the Mindanao Power Grid” by Dr. Sven Teske of the Institute for Sustainable Futures (ISF), University of Technology, Sydney. The event was sponsored by the Institute for Climate and Sustainable Cities (ICSC) and Mindanao Development Authority. I was not there so I asked for a copy from UPSE, nothing came and perhaps ICSC did not give them a copy either. A friend of a friend sent me a paper by Dr. Teske last year which could be the basis of his presentation. The IFS and Dr. Teske made a weird scenario of Mindanao capacity 6x that of DoE scenario. Their scenario is based on heavy renewable energy plus storage (RE+S) and RE plus dispatch (RE+D) and the following assumptions: (1) coal, oil and diesel plants phased out by 2050, (2) of the 3,200 mid-merit target by 2040, half to come from gas plants, half from hydro and biomass, (3) significant increase in solar and wind, (4) increase in storage especially battery (2,491 MW in 2050), and (5) interconnection with neighboring islands. 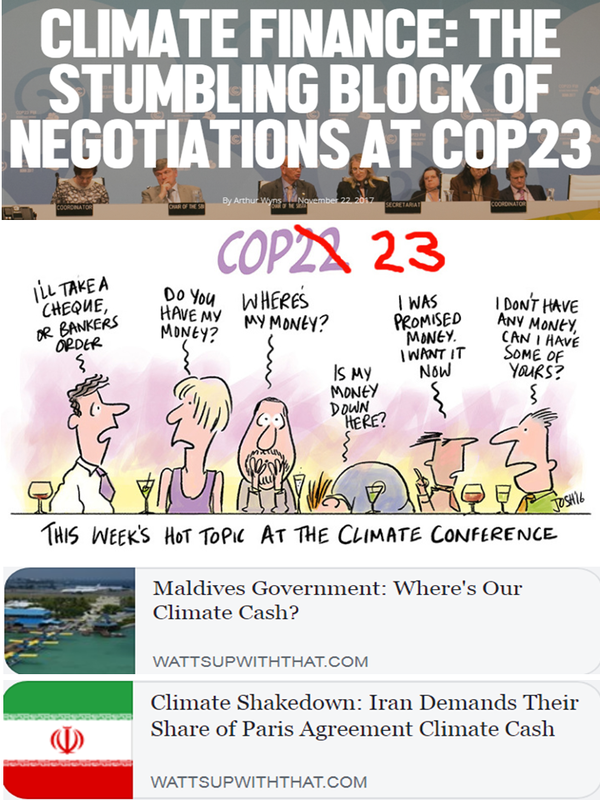 The weird ISF paper as propagated by the ICSC is obviously a product of the solar-wind lobby, partly by the gas lobby too. Compare what the industry players would actually invest, 410 MW of solar-wind indicative projects, vs what ISF-ICSC lobby of 37,496 MW or 91.5x larger, which is hallucination and illusion. Electricity consumers in Mindanao and elsewhere simply want two things: stable electricity available 24/7 no brownout even for a minute, and cheap or competitive. Solar and wind are not cheap. If they are, we should have abolished by now the feed-in-tariff (FIT) scheme or guaranteed high price for 20 years, then the planned mandatory or obligatory renewable portfolio standards (RPS). Top, HOR; middle, Senate; below, Governors. 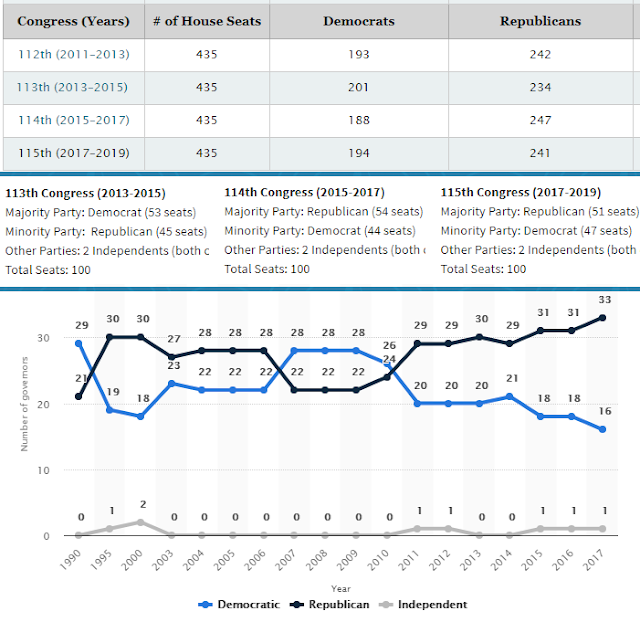 Republicans dominate all three layers, four including the Presidency. Does this mean that the US is veering away from statism? I hope that Trump will reverse more statist policies. Early measures were already there -- tax cut, bureaucracy cut, some spending cut especially on "save the planet" agencies and programs. * This is my article in BusinessWorld last June 7, 2018. In a free trade, an effectual combination cannot be established but by the unanimous consent of every single trader, and it cannot last longer than every single trader continues of the same mind. The Wealth Of Nations (1776), Book IV Chapter VIII. Free trade should mean that people are free to trade and do not need to secure permits to trade from governments. The expansion of governments — local, national, and multilaterals — has also resulted in the expansion of preconditions and negotiations before meaningful trade can be allowed. This is what Adam Smith referred to in the quote above. It is the collective action of traders and not the coercive regulation of governments that free trade and real competition is established. In recent months, “trade war” has become a common term used in international media and blame is put on the US President for stoking protectionism and implying that US trade partners that enjoy and experience huge trade surpluses for many years are not practicing protectionism. Trade numbers will greatly help us to clarify things. I got monthly data of merchandise trade, exports and imports, from the World Trade Organization (WTO). After getting the sum of trade balance, January to June then July to December of 2016 and 2017 and the first three months of 2018, I got the monthly average and daily average. I chose countries with relatively large value of trade surplus or deficit (in parenthesis) plus selected ASEAN countries like the Philippines. The numbers show some interesting patterns (see table). Here are the notable facts from these numbers. One, the US continues to experience more than $2 billion a day in trade deficit, since many years ago until today. The second half of 2017 showed a big deficit, posting an average of $2.5 billion a day. US President Trump’s threats of imposing higher tariffs on certain imports became louder in early 2018, hoping to reduce the trade deficit. Two, China has been enjoying a trade surplus of up to $1.5 billion a day in the second half of 2016, then Trump’s higher tariff in early 2018 for some of its exports has significantly reduced the imbalance but China still enjoys a trade surplus overall. Three, Germany has the second biggest trade surplus after China with about $0.8 billion a day. The recent higher US tariffs for steel and aluminum were mainly directed at Germany and other European exporters. It would seem that the US is not exactly “becoming protectionist” as most media reports and opinions claim. People got used to seeing the US as having perennial big trade deficit for many years and when Trump tries to correct this, those people get angry. Ultimately we should assert free trade and people’s freedom to trade, not governments and bureaucrats’ freedom to restrict trade. There are net gains in trade (gains are larger than pains) while there is net diswelfare in protectionism. Heartland Institute will organize and sponsor again a big conference, the 2nd America First Energy Conference (AFEC 2018) in Hilton Riverside Hotel, New Orleans, Louisiana, August 7. Opening remarks by Heartland Institute President Tim Huelskamp, Ph.D., and a keynote address by Louisiana Attorney General Jeff Landry. America’s freedom and prosperity is literally fueled by this country’s abundant and affordable fossil fuels — coal, petroleum, and natural gas. We’re finally going after it in ways that will fire the engine of America’s economy and still protect the environment. Two VIPs will give speeches at this lunch. The Regulations from the Executive In Need of Scrutiny Act (REINS Act) requires legislative approval of regulations that cost the private sector more than a set amount. A federal version sets the bar at $100 million. This is an essential effort that will finally put unaccountable federal and state regulators back in their place. Environmental activists are losing the public debate, so (naturally) they run to the courts to get judges to enact their radical agenda. From the “climate trial” in San Francisco, to the case to preserve the planet on behalf of “the children,” the litigation seem endless. What’s the status of these cases? And will they succeed? You want to see real Russian Collusion? Look no further than the nexus between the Russian government and radical environmental activists in the United States, the UK, and Australia. The Russians have funneled millions to groups in the West to oppose energy exploration, especially fracking. This panel will expose this woefully underreported story. Two VIPs will give speeches. This is good. Zero tariff, keep non-tariff barriers/measures to the minimum. EU, Japan, Canada, China, dare -- game? “We should at least consider no tariffs, no barriers — scrapping all of it,” Trump said, according to officials who were listening and taking notes. "No tariffs, no barriers, that's the way it should be — and no subsidies," the president said at a press conference, before taking questions. "We don't want to pay anything — why should we pay?" Trump said. "Ultimately, that's what you want. You want a tariff free, no barriers and you want no subsidies." “No tariffs, no barriers, that’s the way it should be, and no subsidies,” Trump said during a 30-minute press conference on the sidelines of the meeting in La Malbaie, Quebec. "I did suggest it and people were -- I guess they’re going to go back to the drawing board and check it out." "Also on Friday, Trump floated the idea of ending all tariffs and trade barriers between the US and its allies - a pitch that wasn't exactly expected, according to Politico. Trump offered the proposal at the end of a "contentious" meeting on trade disputes. Most G-7 members remain furious with Trump over his decision to impose tariffs on aluminum and steel imports, and his threats to impose more trade restrictions. Merkel responded positively to Trump's suggestion, saying she would consider it." The anti-trumpistas just hate any policy he takes. If he slaps high tariffs to trade partners, they are angry. 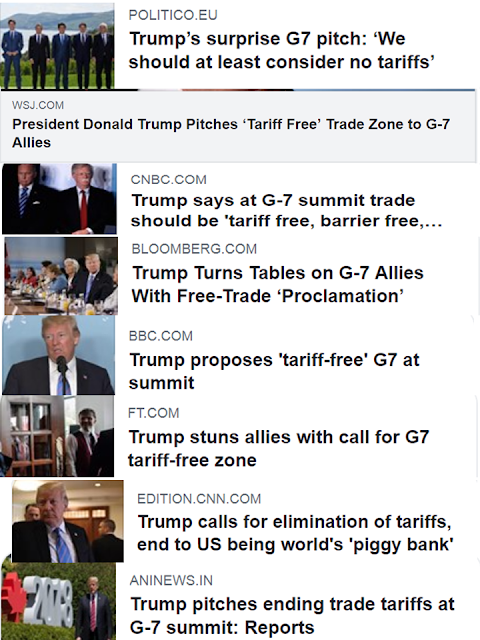 If he suggests zero tariff, they are still angry. Seems they are more confused, more double-talkers than the man they hate. * This is my article in BusinessWorld last Wednesday, May 30. — Adam Smith, The Wealth Of Nations (1776), Book V, Chapter II, Appendix to Articles I & II. Two columns in BusinessWorld on May 28 jointly defended Dutertenomics’ Tax Reform for Acceleration and Inclusion (TRAIN). These are “Eight former Finance secretaries support TRAIN 2” by Romy Bernardo of FEF and “Coolly explaining inflation” by Men Sta. Ana of AER. I will quote some phrases from the two pieces and explain the title of this piece. 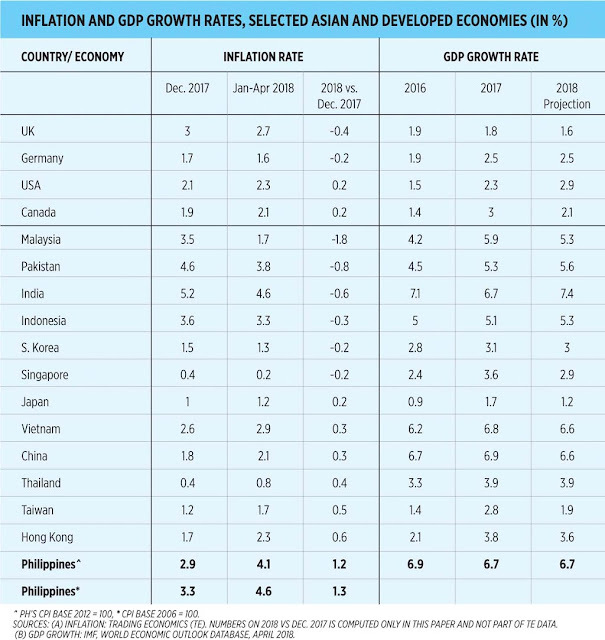 So the main explanation of Dutertenomics and its supporters as to why the Philippines has recently posted an outlier inflation rate are (a) high world oil prices, high sin taxes, (b) rapidly expanding economy, but the impact of (a) is very small while (b) is substantial. If this is true, then other countries that bore the brunt of high oil prices and incurred elevated growth levels should also have rising inflation rates. 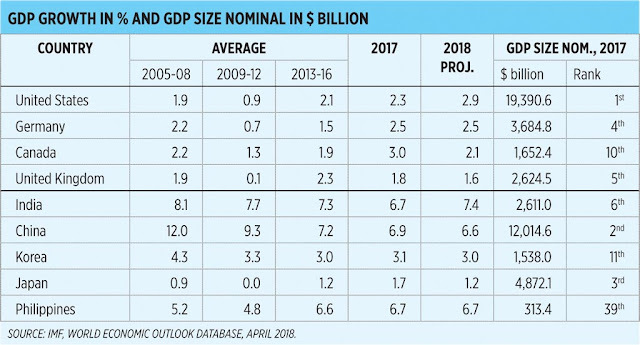 But this is NOT true and did not happen as shown in a chart covering Asian emerging and developed economies and the two biggest economies of America and Europe. On (a), many countries even experienced lower inflation in January-April 2018 compared to December 2017 level despite the rise in world oil prices — UK, Germany, Malaysia, Pakistan, India, Indonesia, South Korea, and Singapore. Others have inflation differential of only 0.2% to 0.6% while the Philippines’ differential was 1.2% or 1.3% depending on the CPI base year used. 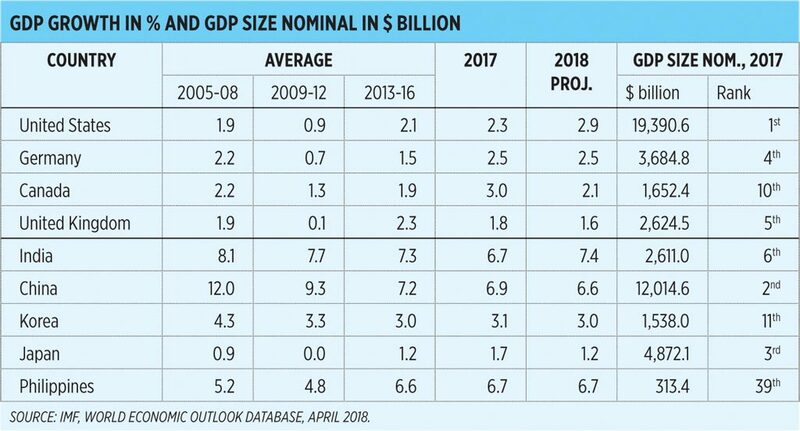 On (b), several countries that have reported growth momentums from 2016-2017 and were projected to grow at least 5.3% in 2018 experienced negative or low inflation differentials compared to December 2017 levels — Malaysia, Pakistan, India, Indonesia, Vietnam, China. 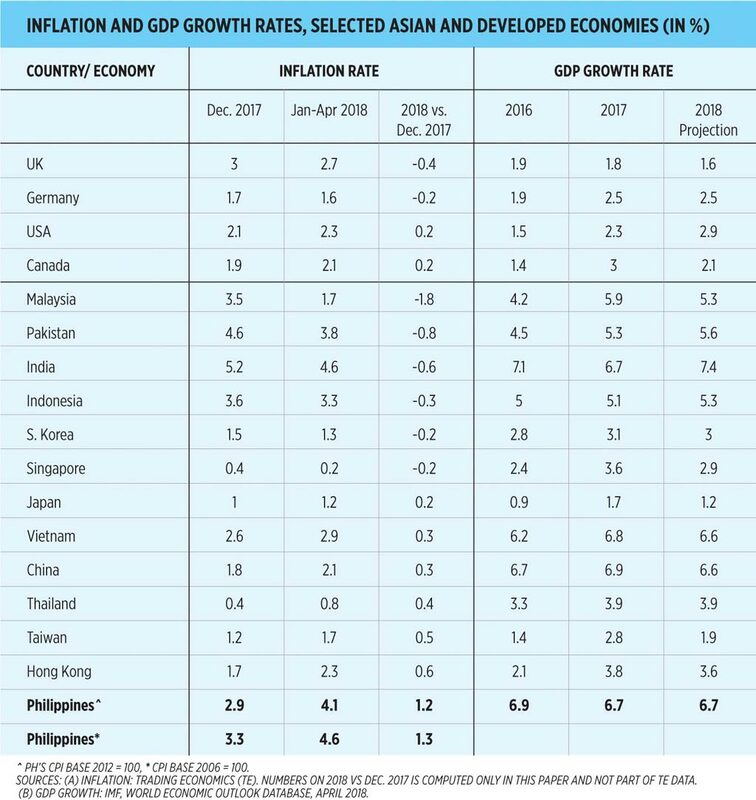 These countries show that low inflation and fast growth can occur at the same time, no trade off expected (see table). So are supporters of the TRAIN being less honest? Moreover, their clamor for higher oil/LPG/coal taxes is directly proportional to their silence in calling for fare hike adjustments. They know 100% that higher oil prices will result in demand for higher fares/tariff by jeepneys, taxi, buses, UV express, trucks, etc. And since January 2019 is fast approaching, another round of oil/lpg/coal tax hikes will come, prompting another round of demands for hikes in fares, electricity, and wages. With this in mind, TRAIN supporters should be equally vocal in telling the LTFRB and DoTr to grant the fare hikes very soon, before the second round of energy tax hikes begin, then re-run their numbers on inflation impact and targets. But there is sound of silence in this aspect. If government will not grant the necessary fare hikes soon, PUV operators will cut costs elsewhere, like forcing bus drivers and mechanics to work longer hours at little or no extra pay, or using less-reliable but cheaper spare parts, or using old tires. Then we wait for more road accidents and government will blame the PUV operators then penalize them with huge fines or franchise cancellations. True, there is an urgent need for the Philippines to cut the CIT because our 30% is the highest in East Asia: Indonesia, China and South Korea 25%, Taiwan, Thailand and Vietnam 20%, Hong Kong and Singapore 16.5-17%. But TRAIN 2 wants to cut the CIT to only 25% by 2022 or end of Duterte’s term while it will reduce or remove many fiscal incentives by 2019 if they succeed in having TRAIN 2 law this year. So Dutertenomics is being less honest again on the extent of the Philippines’ taxation distortion. Aside from the Philippines having the (1) highest CIT of 30% in East Asia, it also has the (2) highest withholding tax on dividends OF 15/30%, (3) highest withholding tax on interest of 20%, (4) highest withholding tax on royalties of 30%, (5) highest VAT/GST of 12%. 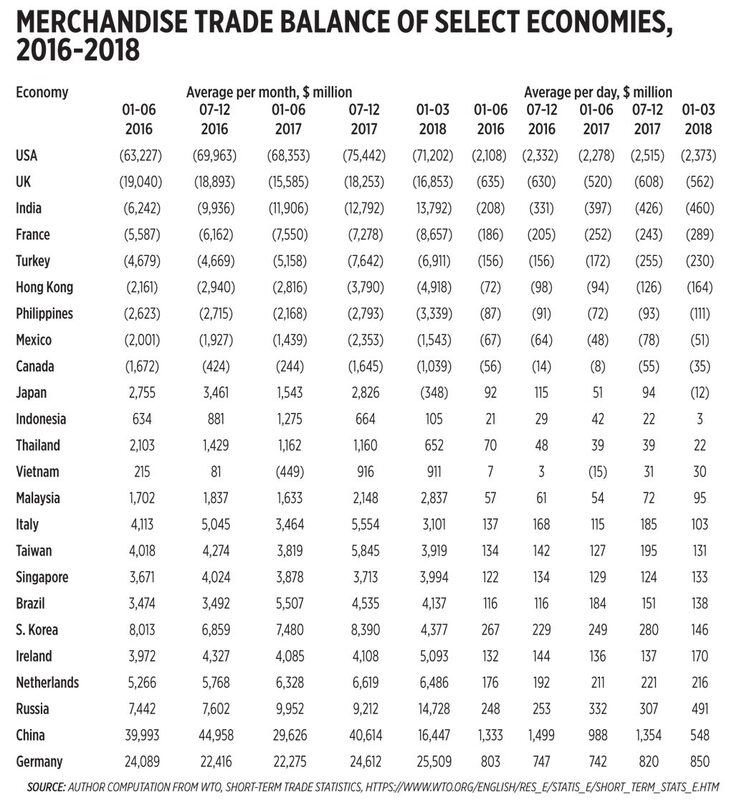 One big result of this is that the Philippines has the lowest FDI inward stock (inflows less outflows through the years) of only $64B in 2016 vs. $115B of Vietnam, $122B of Malaysia, $186B of S. Korea and Japan, $189B of Thailand, $235B of Indonesia, $1,096B of Singapore, $1,354B of China and $1,590B of Hong Kong. A more economically realistic and politically acceptable CIT under TRAIN 2 would be 15%, or max 20% in exchange for reduction/abolition of many fiscal incentives. And such cut should be done in 2019 assuming that TRAIN 2 becomes a law in 2018, and not 2022. Finally, the last point is that the implicit purpose of TRAIN’s tax-tax-tax strategy is to pay for loans-loans-loans from China and its crony contractors involved in Build-Build-Build as many previously integrated PPP were reversed to become hybrid PPP. The PH Stock Exchange (PSE) is the 2nd worst performing stockmarket in the world this year (-12.4%) next to Turkey (-12.7%). Dutertenomics is lousy at encouraging more investments, good only at tax-tax-tax, loans-loans-loans especially from China. 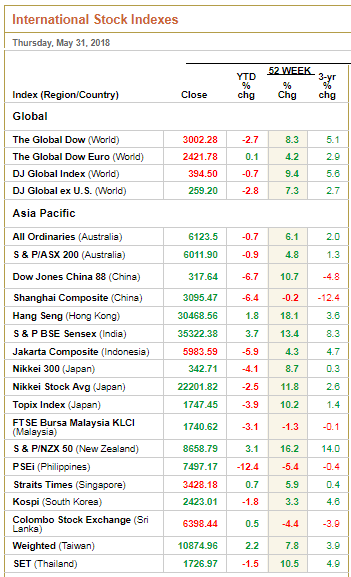 Over the last 52 weeks, PSE is also the worst performing in the Asia Pacific. Over the last 3 years (May 2015 vs May 2018), PSE has contracted. The gains of the markets in the last year of the past administration has been erased by the first 2 years of the Duterte admin.